We are counted amongst reckoned names in the industry, committed towards manufacturing a broad gamut of Hybrid Sweet Corn Seed. - Harvest 85-95 days after sowing. 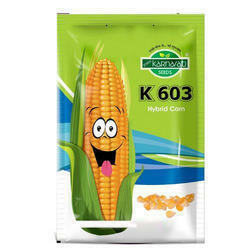 As an affluent name of this domain, we hold expertise in providing high quality Sweet Corn Seeds. 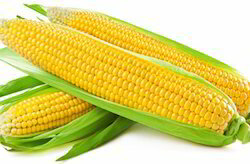 To supply the ever rising needs of our customers, we are occupied in offering a wide range of Sweet Corn Seed.We will give discount on the order above 10 Kg. "Minimum Order Price = Rs 5000"
Owing to the wide experience of this domain, we are instrumental in offering Sweet Corn ( American Sweet Corn ) to our clients. Plant Vigorous , Maturity -80 to 90 Day's. Plant: Very good plant vigour and height. Extra Description: Recommended for winter sowing.